Save time and money on a retrofitted system. We have the knowhow to work with your existing system to get it up to your efficiency standards. Our products can be retrofitted to suit the needs of your business. We carry a wide variety of products for every step of the process. Whether you require a specific part, or a whole new system, we have the machines to get your job running efficiently. 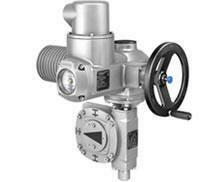 Call us for all your valve automation needs. Get quick access to our online engineering resources. AUMA Riester GmbH & AUMA Actuators Inc.
Energy sector, water industry, petro-chemical industry and users from the most diverse industries worldwide rely on technologically sophisticated electric actuator products by AUMA. ProMation Engineering manufactures a full range of electrical actuators designed for long term, reliable process control in harsh industrial environments. 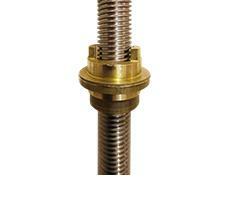 Valve automation requires accessory products, such as gate stems, adaptors, floor stands and more. Troy-Ontor is proud to produce all of these in house. 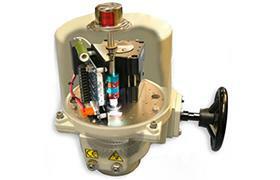 At Troy-Ontor we specialize in turnkey solutions for valve automation projects. Whether you need a new installation or an extensive retrofit, we’re ready to tackle your job and get your system running efficiently. We have the know-how and capabilities to provide you with the solution you want and need.